The Museum’s Textile Collection includes about 1,000 textiles, mostly ecclesiastical, from all over Greece, the Balkans and Asia Minor, which date from the fifth century up to the twentieth. 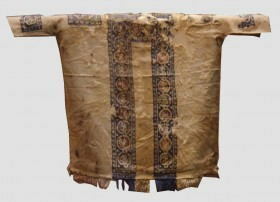 The collection was built around the Christian Archaeological Society’s collection of textiles. It was gradually augmented by gifts, purchases and by the influx of the so-called “Refugees’ Heirlooms”, that is to say artefacts belonging to the Greek communities from Asia Minor and Eastern Thrace which came to Greece after the Asia Minor Disaster of 1922 and as a result of the exchange of populations in 1923. 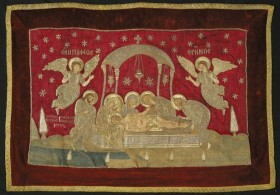 The Coptic textiles constitute a special category of their own. They are associated with the Christians in Egypt, who were directly linked with Byzantium until 641, the year in which the empire lost the Egyptian provinces for good when they passed to the Arabs. In fact many works are still described as ‘Coptic’ even if they can be dated later than that. The term ‘Copt’ is derived from an Arabic corruption of the Greek word for Egyptian and is used to refer to an Egyptian Christian. 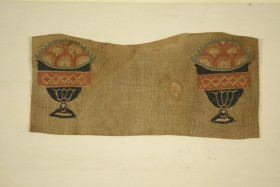 The Coptic textiles were found in excavations of Christian tombs in Egypt and were preserved thanks to the special climatic conditions in the region. 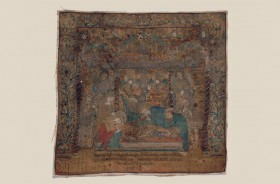 They are mostly made of linen with scenes embroidered or woven in coloured wools. 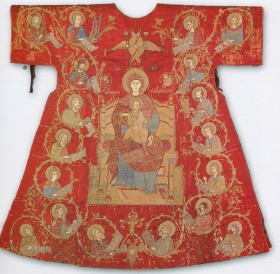 The Byzantine and Post-Byzantine collection consists mainly of ecclesiastical artefacts, priestly vestments and liturgical cloths, made from Western European and Oriental textiles. 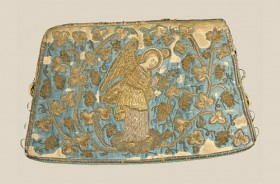 Many of them are silks with embroidered decoration and are precious examples of gold-thread embroidery, an art widely practised in Byzantium and which developed in tandem with related arts such as painting, metalwork and sculpture. The earliest examples of gold-thread embroidery are dated to the fourteenth and fifteenth centuries. 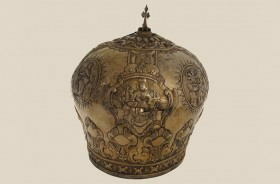 The sixteenth and the first decades of the seventeenth century are represented by artefacts which still show their dependence on Byzantine models. The embroidery continues to be flat, whereas later (from the last decades of the seventeenth century up to the end of the nineteenth century) it gives way to a much more sculptural technique in imitation of metalwork. Sometimes the scenes are influenced by Western art and sometimes they are inclined to be more naive in style. The workshops which have been identified stretch from Asia Minor and the Black Sea to Georgia, Russia and the cities of the Danubian Principalities. It is worth noting that, after 1453 and the break up of the Byzantine Empire, Constantinople remained an important centre for embroidery. The Constantinopolitan embroidresses, who were fully abreast of the latest developments in their art, signed their handiwork, well aware of their worth. 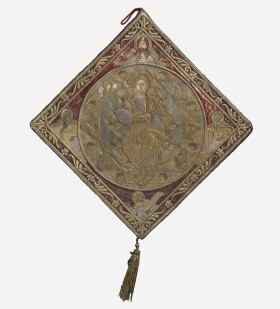 Outstanding examples are the epigonation [knee patch worn as part of a bishop’s vestments] by Despoineta Argyri (1689), another epigonation by Eusebia (eighteenth century) and a hanging depicting the Beautiful Gate by Kokona Rologa/?Kokona the Watchmaker’s Daughter (early nineteenth century). 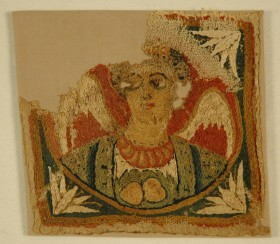 Special mention must be made of the group of embroidered epitaphioi, i.e. the liturgical cloths which are used in the Good Friday ritual (Entombment of Christ). 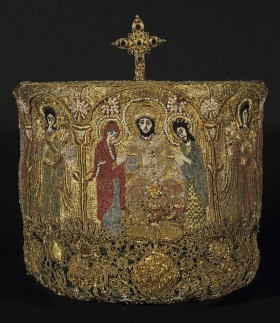 The collection contains fine epitaphioi from Constantinople, Asia Minor and the Ionian Islands. 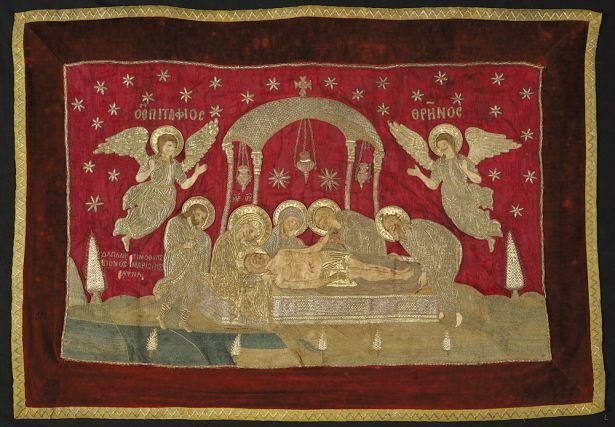 Another equally important group of textiles is the collection of antimensia, linen cloths consecrated with holy oil, which are used for the divine liturgy in places where there is no altar (e.g. on ships or in army barracks). Most of them have printed decoration, applied using woodblocks, while some are painted and more rarely embroidered. They date from the seventeenth century onward.